The NYPD’s communications efforts in the past have been primarily geared towards reacting to the news of the day. As a result, the Department had been unable to consistently reach both its own members and the general public with its message and had not taken advantage of the rapidly expanding world of social media. In 2015, with assistance from the Police Foundation a new unit, the Creative Services Section, was established to produce and disseminate proactive NYPD messaging to two crucial audiences, the people of New York City and the officers of the NYPD. The Police Foundation helped to fund the creation of NYPDNews, a daily newsletter-style blog which tells NYPD stories from the Department’s perspective. Every patrol precinct and housing command now has one member dedicated to managing social media outreach and response. The Foundation has helped to make sure these officers are trained and equipped to be able to engage most effectively with the public. A paid fellowship program to help young people across the city to learn strategic communications skills and apply those skills to tell the story of their neighborhoods and make them safer. including the construction of a working sound stage. Neighborhood Policing aims to connect the people of every community with the police who serve them. Community partners are a vital link in that program. As local business, religious, and social leaders, they dedicate time acting as liaisons with the NYPD and neighborhood residents and help to craft solutions to community concerns. The Foundation is playing a major role in supporting this vital program. The NYPD’s various Facebook and Twitter accounts have reached an audience of more than 300 million people, while NYPDNews has over 250,000 regular followers, and decentralized social media accounts for specific units and local precincts have a total of more than 660,000 subscribers. All of these totals continue to grow each year. The Department is currently training digital communications officers in all precincts and launching Facebook accounts for each precinct to maximize communication with local neighborhoods. Creative Services has all the capabilities of a professional advertising agency. 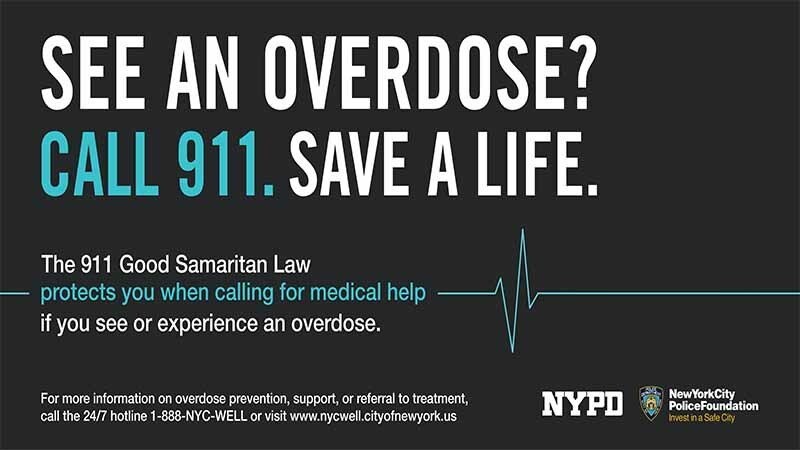 Recently, it built an opioid awareness campaign from start to finish; researching the target audiences; developing all copy and graphic design; and mounting the campaign on MTA platforms such as subway cars and buses, as well as on the Staten Island Ferry, and on social media.